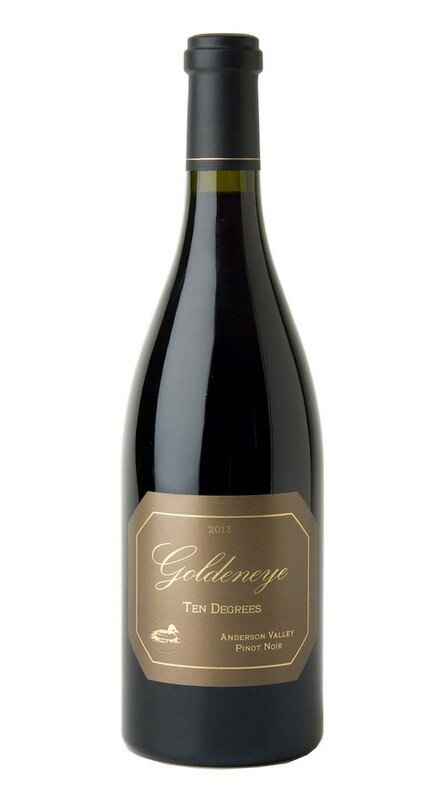 Ten Degrees is the pinnacle of what we strive for at Goldeneye, offering a richness and texture that can only be achieved by an uncompromising focus on our estate vineyards. This wine proudly displays all of the unique characteristics from our four estate vineyards, balancing the lush texture of our Confluence Vineyard, the richness and opulent dark fruit of Gowan Creek, the structure and intensity of Split Rail, and the wild forest character of The Narrows. Ten Degrees finishes with satisfying notes of boysenberry, saddle leather and just the right amount of toasty oak.